One of the most gratifying things about doing what we do here at J World is catching up with our alumni, sometimes years down the road, and hearing about all the great sailing adventures they have gone on to experience. Just recently we got a quick note from a couple of just such sailors… Mark and Emily Fagan graduated from J World and went on to pursue great adventures. Emily wrote, “Our experience with J-World was exactly what we both needed to get the confidence to go cruising.” And boy did they do it in style. They have published articles on their adventures, wrote a large portion of the “First Timer’s Guide to Mexico,” released a series of DVD’s on cruising… and more! Read their story below, then visit their website and kick back for a while… there is a TON of great stuff there (all the pictures are from them too), and if that doesn’t make you want to cast off for the tropics (or come visit J World in Puerto Vallarta) I don’t know what will! Thanks for the update, Emily and Mark, and thanks for the kind words. We are thrilled to hear how much you enjoyed your adventures aquatic and thanks for sharing! I was an experienced sailor from my former life when Mark and I got together. I learned to sail on the Charles River in Boston at Community Boating as a kid in the 1970’s. This is a very cool city-sponsored program for residents of the area. I then lived aboard a Nonsuch 36 in Boston Harbor for 4 years in the mid-1990s (my mid-30’s). Brrr. Those winters are really cold. You have to build a shrink-wrapped enclosure with 2×4’s and mylar over the deck of your boat to keep the snow off, a tradition for year-round liveaboards every October… In mid-winter you walk straight off your boat onto the snow on the finger pier — no need for stairs! Mark had sailed Hobie Cats on the lakes in Michigan as a kid, but had no experience on larger boats. I had lusted after the J-40 when I lived on the Nonsuch and then the J-120 too, so when I saw that the Liveaboard sailing lessons at J-World in San Diego took place on a J-120, I was hooked. We did the Basic Sailing class together on the J-24’s, and while Mark got the hang of tacking and jibing properly, I picked our instructor’s brain about how travelers and spinnakers worked, two areas I was very fuzzy on. Wow!! My sweet hubby was a sailor!! We then did a 3.5 week charter in the BVI on a Sunsail 37. We anchored out every night — no moorings or marina stays — and we had a ball. We really wanted to go cruising, but we lived in Arizona, and getting from the desert to the deep blue sea was a big step. Instead, we took off in an RV for 2.5 years first, and learned how to live off the grid on solar power and how to live a traveling lifestyle. One winter we stayed in Jacksonville Florida while visiting our son who was stationed there, and as we watched the boats on the water, the urge to go cruising intensified. We began a serious search for a boat, decided the model we wanted was a Hunter 44DS, and subsequently put four offers on different ones in California. It was 2009 and the bottom was falling out of the economy. 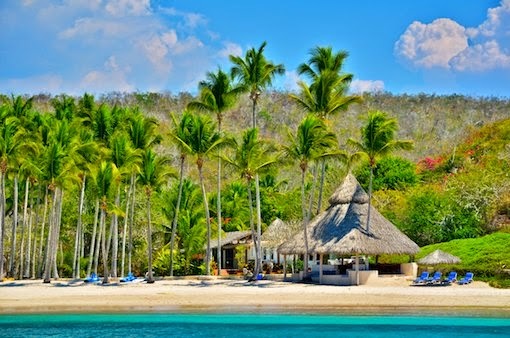 None of our offers resulted in a closed purchase, so we left our RV in storage and flew to the Grenadines to spend a few months in the Caribbean to decide whether we wanted to cruise there or in Mexico. The Caribbean is gorgeous but the people weren’t very friendly. We had our doubts about cruising there. Then, in our third week in Grenada, Mark just happened to look at Yacht World (we had sworn off of it during our Caribbean soujourn), and he saw the ideal Hunter 44DS had just come on the market as a foreclosure. The bank had an online offer form, so Mark filled it out. Rather than click “send” right away, he showed it to me and went off to take a shower. I saw his number and laughed and took another $10k off and clicked “send.” Within 30 minutes the broker responded saying the bank had “respectfully countered” two thousand higher than our offer. Oh WOW and Oh NO!! Within three weeks we had put our trailer in long term storage and sailed Groovy to Ensenada and begun a new life as cruisers. We stayed there for six months outfitting the boat. We added 555 watts of solar power on a beautiful custom-made arch and 300′ of chain and a 60 lb Ultra anchor. We spent the summer months anchoring out around San Diego (floating between the old A9 anchorage, Glorietta Bay, Playa Cove and the Police Dock), and during that time Mark installed a 60 gallon/hour watermaker. Paradise Village… the J World Office is just off to the left…. In November we sailed to Cabo, leaving a week after the Baja Ha-Ha, and after our 17 day passage we promptly crossed the Sea of Cortez to Chamela Bay. This was a 330 mile passage that was downright terrifying, not because of high winds but because we were tossed all over the ocean in very choppy seas. Six hours into that passage we heard two sailors chatting on the VHF radio about the weather forecast they had heard on SSB. “This is no time to be crossing the Sea of Cortez,” one of them said. Yikes! But if we turned around, we’d be sailing back into Cabo in the dark. On we went. We never had any passage as difficult as that one after that. In the next 3.5 years we sailed as far south as Chiapas, at the Guatemala border, and as far north as San Carlos in the Sea of Cortez. We left our boat for two hurricane seasons, once in San Carlos and once in Chiapas. Our favorite cruising grounds were from Zihuatanejo and south of there. The Bays of Huatulco were a sheer delight and we stayed there for four months, roaming from one anchorage to the next. The snorkeling was superb and the daysailing was terrific. We crossed the Gulf of Tehuantepec twice, encountering smooth conditions each time (although there were threats on the horizon on our return trip, but nothing that disturbed us other than putting a lump in our throats!). We spent 5 months in the Sea of Cortez and passed through the charming anchorages of the Costalegre several times on our way up and down the coast. We enjoyed both of those areas a lot, but our hearts were — and still are — in Huatulco. We took advantage of being in Mexico to do some inland travel, and in many ways that was the highest highlight of our cruise. We went to Oaxaca, a vibrant and energetic colonial city that has some fabulous ancient Zapotec ruins nearby and a town center that comes alive at night. We also visited San Cristobal de las Casas in Chiapas, another colonial city that has an intriguing Mayan influence. We visited the ancient Mayan ruins at Palenque, Yaxchilan and Bonampak and were fascinated to find 1,000 year old ruins filled with painted frescos of Mayans that had a very Egyptian style and were brilliant enough to have been painted 100 years ago. We traveled into Guatemala and visited the colonial city of Antigua, but we found the area disturbing, as the poverty is extreme and the people did not seem happy in the way that the Mexicans are. We also visited San Miguel de Allende and lastly Guanajuato, a colorful and artsy hillside town with a history steeped in silver mining. Guanajuato was our favorite place in all of Mexico. We returned to San Diego in July, 2013, doing the Baja Bash after the wild northers of the spring season had ended and before the hurricanes of the late summer got too dangerous. 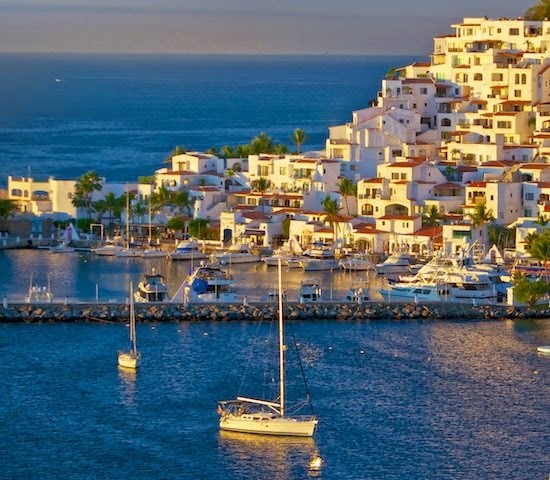 We managed to find ourselves in the sweet spot tucked between two hurricanes, and in just 8 days we went from Paradise Village Marina in Puerto Vallarta to Ensenada. It was a bumpy ride for about 24 hours and slowed to a crawl at once point when the oncoming waves got pretty intense, but other than being a white knuckle ride due to us worrying about what might go wrong, everything went like clockwork. 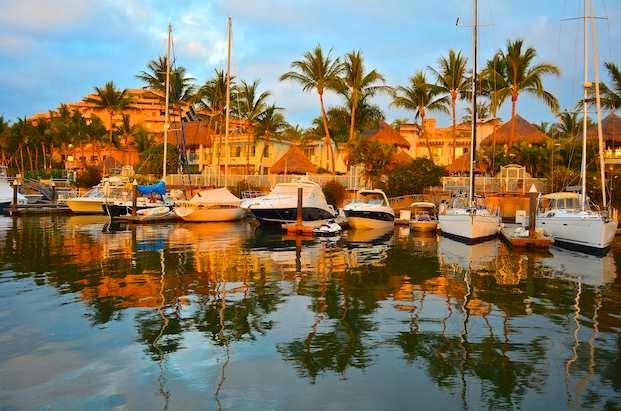 We ended the sailing phase of our lives with a wonderful six month stay at Kona Kai Marina in San Diego, taking full advantage of being San Diego “residents” in one of the most charming parts of the city for a while. We put our boat up for sale in September, 2013, moved back into our trailer in December 2013, and sold Groovy to a Canadian couple in June 2014. We have been cruising around the western states in our fifth wheel trailer since last January and are now fully-fledged RV full-timers once again. However, our memories of our cruise are vivid and tangible and they are with us every day. It was an exhilarating ride, and we are so grateful we had an opportunity to fulfill our sailing dreams. So, that’s it in a nutshell! When we returned to San Diego we were really excited about our cruise. Talking to future cruisers, they reminded us of ourselves a few years earlier — excited and bewildered at the same time, with a very limited idea of what cruising Mexico will be like. We were invited to give a talk to the Catalina Owners Association, and as a result of that slideshow, we realized that creating a DVD might help future cruisers visualize what their cruise would be like and get an overall understanding of Mexico’s geography and anchorages from a cruiser’s standpoint. So we created a DVD series and sold them to cruisers at the various gatherings and on the docks. 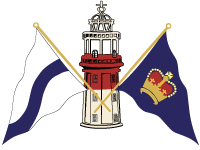 Since then we put them on Amazon (they can be seen at this link) and have them available for cruisers to buy there (or at Seabreeze Nautical Books). Our website is: http://roadslesstraveled.us and all our cruising-related links are under the “Cruising Lifestyle” menu item. I have published feature stories about our cruise in Cruising World, Sailing Magazine, Sail Magazine and Blue Water Sailing, and I published a cover photo in Blue Water Sailing (from Zihuatanejo) as well. These can all be seen at our Press Room page on our website. I wrote the core of the current Baja Ha-Ha First-Timer’s Guide to Mexico and have two new feature magazine articles coming out in the next few months. One is in Sailing Magazine (the November issue which should be on newsstands soon) about the Costalegre and one in Cruising World (February 2015) about our 60 gallon/hour watermaker. Our experience with J-World was exactly what we both needed to get the confidence to go cruising. Even though I was an experienced sailor, I had quite a few gaps in my knowledge to fill, and, for Mark, every hour of our instruction was new info that he gobbled up eagerly. Our instructor was Rob was absolutely fantastic. He was very clear in his instructions, very patient with our mess-ups, and incredibly motivating. I hope our story inspires other J-World students and alums! http://sailing-jworld.com/wp-content/uploads/2014/11/RLT-Cover-Careyes.jpg 288 1000 jworld http://sailing-jworld.com/jworldwp/wp-content/uploads/2015/01/Header-Logo.gif jworld2014-11-04 19:22:002015-01-05 19:16:20Impressive Alumni!